Hello Friends! It’s been a while. In my first post for the new year, I would like to talk about Hi Score Girl, an anime you can watch on Netflix. I’m not terribly fond of the CG animation style of several anime you will find on Netflix. I have watched a few, though - Knights Of Sidonia, Ajin, and a couple of others that were just interesting enough for me to suspend my dislike of the animation. Hi Score Girl has a variety of drawbacks for a guy like me - the animation style being first and foremost, followed by the fact that it’s a slice-of-life styled coming of age story, driven by romance. Nope, nope, and HELL nope. The one thing it does have going for it is the fact that it’s set in early-to-mid 90's, during the arcade rennaisance and the 3rd to 5th generation of video game consoles, that I fondly remember. Naturally, this means it’s packed full of video games and video game references, with the main character being Haruo, an otherwise generic slacker protagonist. Just about everything is as generic as it could possibly be - Average protagonist, average Betty and Veronica love triangle (Koharu and Akira respectively) average school, average supporting cast. What makes it interesting, and relatable, is the fact that the entire anime is very much focused on video games, in particular, fighting games and the arcade scene. Those were the days when, to play the latest and greatest games, you had to go find an arcade cabinet to enjoy it, and would invariably encounter all kinds of different people. The latest releases would attract huge crowds, and everyone would try their best to play for as long as they could with the money they had. Haruo, our MC, spends most of his time goofing off and playing video games, hanging around the arcade which he calls his “oasis”. He reckons he’s pretty good, until another player completely annihilates him playing as Zangief - the player being the prim and proper Akira, who generally isn’t the kind of girl you would find in an arcade. The quiet, popular girl that everyone idolizes, coming from a rich family. This encounter basically sets the stage for everything that follows, as they grow from elementary to middle school, to high school, and how their relationship grows along the way. It’s both a rivalry and a romance. My favorite part of the anime is the throwback to some of my greatest memories, with fighting games having long been a staple. It’s a love letter to the arcade era, that probably isn’t completely dead, but likely will never shine as it did with how home computing and the internet has advanced. Street Fighter, Darkstalkers, Ghosts ‘n Goblins, Samurai Shodown, Mortal Kombat, followed by the advent of 3D gaming with the likes of Virtua Fighter, the release of the Sony Playstation and it’s rivalry with Sega’s Saturn - these are all distinct events that the characters revel in, not just games. Traveling to another town to wait in a long line to try out Darkstalkers? Paying to play a game that you might lose in a few seconds? These things might sound like a complete drag. In many ways, they were, but it’s what made gaming more of a social event that it has been ever since. Sure, these days you can simply go online, hook up to Team Speak or Discord, and play a game with your friend in the next town, city or even across the globe! We no longer even have to leave our house to buy games! What a time to be alive! There is still something to be said for the brick-and-mortar arcades of times past, the places you had to go if you wanted to have the very best gaming experience. 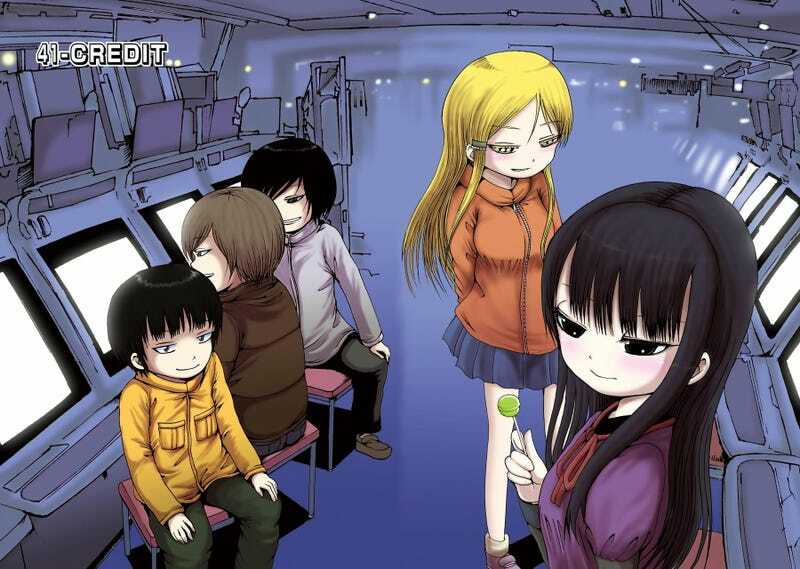 Hi Score Girl is about remembering those times, having a laugh and falling in love along the way. I just wish the animation was a little better!